Mehi River is conveniently located only 1km from the town centre and offers a good standard of accomodation and facilities. It's a perfect location to see all that Byron Bay and surrounds has to offer plus there's good public transport links from the parks gates. 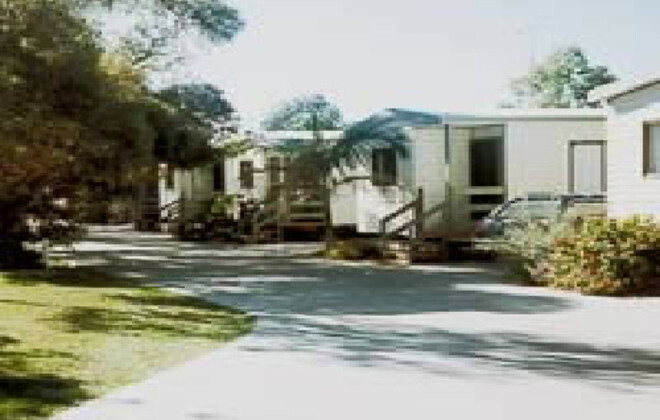 Accomodation is provided in the form of cabins with ensuite and reverse cycle air conditioning, powered sites or riverfront unpowered sites. After a hard days touring, our sparkling pool & spa will be a welcome retreat. There's pleanty of BBQ pitches to cook your evening meal and our on site shop provides all the essentials. 1km from town centre. Travelling from the north, turn left at second roundabout. Travelling from the south, turn right at first roundabout. Artesian spa baths, pecan nut farm, cotton gin and farm, Lightning Ridge tours. ensuites, reverse cycle air-conditioning and colour TV. Some cabins with microwave oven. All cabins are fully self-contained. Shady powered sites. Unpowered sites along the river. By clicking "Submit" you certify that this review is based on your own experience and is your genuine opinion of "Mehi River Van Park" and that you have no personal or business relationship with "Mehi River Van Park" and have not been offered any incentive or payment originating from "Mehi River Van Park" to write this review.